The tallest Christmas tree in Singapore this year can be spotted from afar lighting up the Singapore Flyer. Boasting more than a million dazzling LED lights, the tree changes colours constantly, putting up a spectacular light show every night. 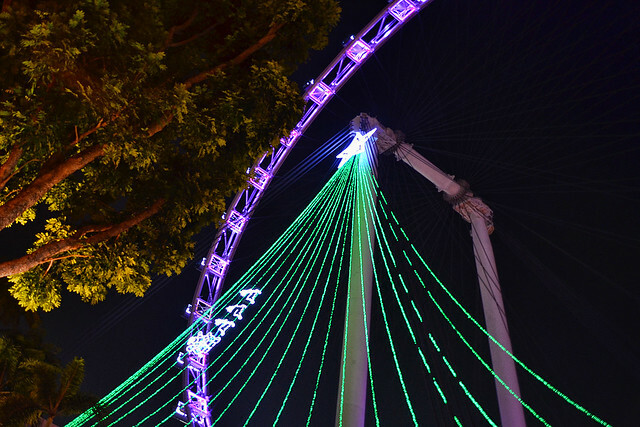 It’s not the first time we have featured the Singapore Flyer Christmas tree in our Christmas Tree of the Day series. 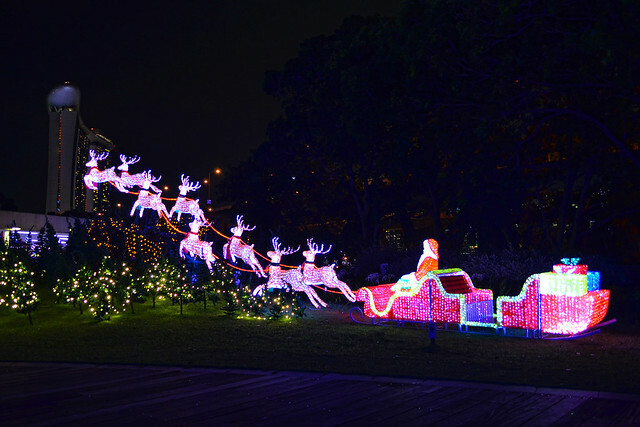 But because it features a new design this year – notice Santa and his sleigh – we decided to showcase it again. 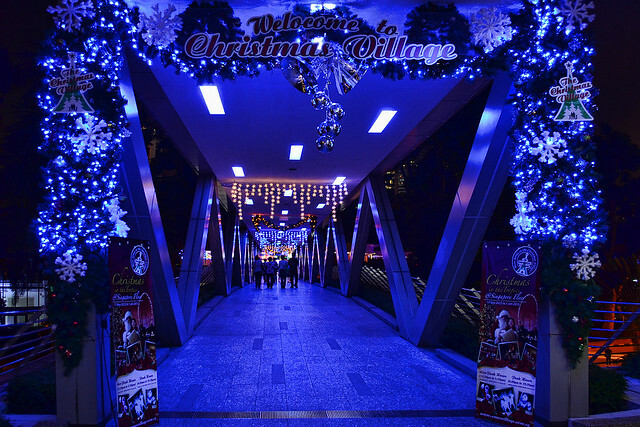 The overhead pedestrian linkbridge from the Singapore Flyer to the Christmas Village at the sky deck is aglow with beautiful fairy lights. 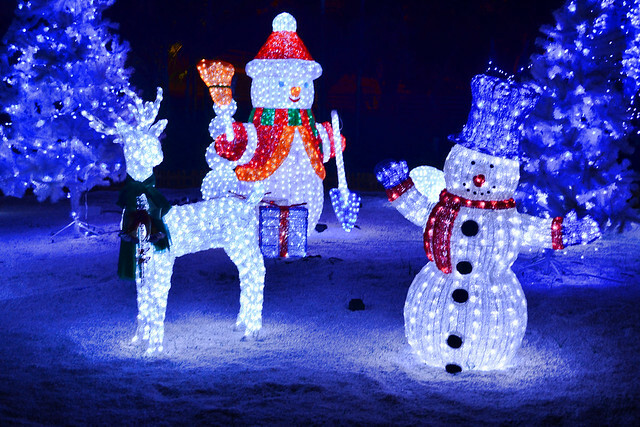 The Christmas Village exhibits light displays including a 21-metre Santa and his sleigh, a 10-metre red Christmas tree, a panda bear enclosure complete with bamboo trees, and a real European Christmas market!